Instructional designers are in high demand. A search for jobs in instructional design yields hundreds of listings for a variety of positions at organizations in the public and private sectors, from Facebook and Patagonia to Penn State University and UC San Diego. As I’m writing this, in fact, six of the nine UC campuses have job postings on LinkedIn for instructional designers who will help build their growing online curricula. To explore this trending field as a possible career path for PhDs in the humanities, the Institute for Humanities Research at UC Santa Cruz recently hosted a “Pedagogy Beyond the College Classroom: Careers in Curriculum Development & Instructional Design” panel as part of its PhD+ professional development series. Each of our invited panelists holds a humanities PhD from UC Santa Cruz and is now working either in instructional design or in a closely related field. Together, these panelists represent the broad scope of work this career track encompasses across the private, nonprofit, and higher education sectors. Instructional design is very closely associated with the “digital turn” in higher education. In this context, the work of an instructional designer is tied to educational technology, online curriculum, and eLearning. 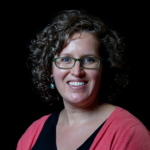 Panelist Dr. Laura Rosenzweig (PhD, History, 2013) is an instructional designer for UC Online who had a background in educational technology and instructional design before she started her PhD at UC Santa Cruz. While a doctoral degree in the humanities has made it easier for her to work with and earn the respect of faculty, Dr. Rosenzweig notes that many people in the field come to these jobs with a Master of Science or Master of Education degree in Learning Design and Technology rather than from humanities disciplines. PhD candidates considering opportunities in instructional design in higher education should acquire as many practical skillsets as possible by developing their own online courses, TAing for online courses, and finding internship opportunities with the campus instructional design staff to bolster their technical skills. Additionally, Dr. Rosenzweig observes that instructional design positions offer humanists the opportunity to use their training as teachers differently: If classroom pedagogy is often centered on content delivery and student engagement, she notes, then instructional design is focused on the actual process of how learning happens. Outside of higher education, the job of an instructional designer is more closely related to the field of professional development. In the private sector, instructional design is increasingly employed to improve business processes and/or to enhance employee performance. Dr. Michele Ryan (PhD, History, 2003) recently transitioned from K-12 classroom education and administration into corporate learning as a consultant for Cognizant, where she is currently assigned to an instructional design project at Google. In this project-based role, her most recent assignment was to train customer service agents to provide technical and helpdesk support for Google’s new Pixel 2 smartphones. Dr. Ryan spoke about collaborating with fascinating people from a range of backgrounds, such as engineers and developers, that makes the work both collaborative and intellectually stimulating. Leveraging her classroom teaching experience in both math and liberal arts, she made a case for conducting workplace training by drawing upon transferrable skillsets and demonstrating that she could effectively communicate across departments and skill levels. Although she wouldn’t classify her work as instructional design per se, Dr. Joanna Meadvin (PhD, Literature, 2016) talked about being “ridiculously happy” in her job as a trainer with the Sobrato Foundation’s professional development program for preschool and elementary school teachers. As a Sobrato Early Academic Language (SEAL) Model Trainer, she travels across the state training teachers and working with coaches and administrators to develop their own curriculum using the SEAL Model. The work is collaborative and gives her an opportunity to see the measurable impact her work has on English language learners whose teachers have participated in the SEAL Model training. The opportunity to participate in social change was especially important to her because she has dedicated her professional life—before and during her doctoral training—to studying and addressing the “politics of language.” Dr. Meadvin not only translated her research, communication, and teaching skills into the trainer position, but she also drew upon her content expertise in bilingual education and scholarship on Yiddish and Jewish literature to make a case for her “fit” with the organization. Identifying a position that aligns with your professional values and offers opportunities for growth is key. Recognized at work for her ability to probe difficult questions and delve deep into complex learning problems, Dr. Meadvin has been able to integrate research into her work as a trainer and, in fact, is currently helping to prepare an article for publication with a colleague. She uses her expertise to shape the new model for 4th and 5th graders with the co-founder of the SEAL Model, a deeply intellectual project informed by her doctoral training and classroom instruction. The panel clearly demonstrated that, as practiced storytellers, humanities PhDs should own our professional narratives in the job search. It is important to curate and translate our experience for prospective employers. One place to start is to contextualize our doctoral training within broader professional contexts by situating graduate research skills, teaching experience, and digital pedagogy practices relative to the developing trends and conversations taking place in the field, be it instructional design or any other career track.